An oxidase is an enzyme that catalyzes an oxidation-reduction reaction, especially one involving dioxygen (O2) as the electron acceptor. In reactions involving donation of a hydrogen atom, oxygen is reduced to water (H2O) or hydrogen peroxide (H2O2). Some oxidation reactions, such as those involving monoamine oxidase or xanthine oxidase, typically do not involve free molecular oxygen. Bivalvia, in previous centuries referred to as the Lamellibranchiata and Pelecypoda, is a class of marine and freshwater molluscs that have laterally compressed bodies enclosed by a shell consisting of two hinged parts. Bivalves as a group have no head and they lack some usual molluscan organs like the radula and the odontophore. They include the clams, oysters, cockles, mussels, scallops, and numerous other families that live in saltwater, as well as a number of families that live in freshwater. The majority are filter feeders. The gills have evolved into ctenidia, specialised organs for feeding and breathing. Most bivalves bury themselves in sediment where they are relatively safe from predation. Others lie on the sea floor or attach themselves to rocks or other hard surfaces. Some bivalves, such as the scallops and file shells, can swim. The shipworms bore into wood, clay, or stone and live inside these substances. Additionally, swimming or working in affected areas can lead to infections of the eyes, ears,  or open cuts and wounds. 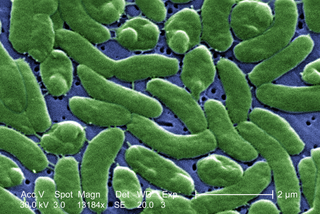 Following Hurricane Katrina, 22 wounds were infected with Vibrio, three of which were caused by V. parahaemolyticus, and two of these led to death. Hemolysins or haemolysins are lipids and proteins that cause lysis of red blood cells by destroying their cell membrane. Although the lytic activity of some microbe-derived hemolysins on red blood cells may be of great importance for nutrient acquisition, many hemolysins produced by pathogens do not cause significant destruction of red blood cells during infection. However, hemolysins are often capable of lysing red blood cells in vitro. Listeriolysin O (LLO) is a hemolysin produced by the bacterium Listeria monocytogenes, the pathogen responsible for causing listeriosis. 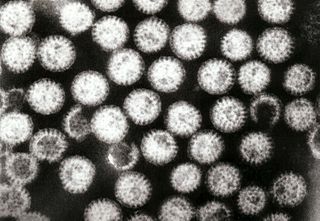 The toxin may be considered a virulence factor, since it is crucial for the virulence of L. monocytogenes. Rhodococcus equi is a Gram-positive coccobacillus bacterium. The organism is commonly found in dry and dusty soil and can be important for diseases of domesticated animals. The frequency of infection can reach near 60%. R. equi is an important pathogen causing pneumonia in foals. Since 2008, R. equi has been known to infect wild boar and domestic pigs. R. equi can infect humans. At-risk groups are immunocompromised people, such as HIV-AIDS patients or transplant recipients. Rhodococcus infection in these patients resemble clinical and pathological signs of pulmonary tuberculosis. It is facultative intracellular. Clithon retropictum is a species of freshwater and brackish water snail with an operculum, a nerite. It is an aquatic gastropod mollusk in the family Neritidae, the nerites. Nerita albicilla, common name the blotched nerite, is a species of sea snail, a marine gastropod mollusk in the family Neritidae. 1 2 Ryan KJ, Ray CG, eds. (2004). Sherris Medical Microbiology (4th ed.). McGraw Hill. ISBN 0-8385-8529-9. ↑ Finkelstein RA (1996). Baron S; et al., eds. 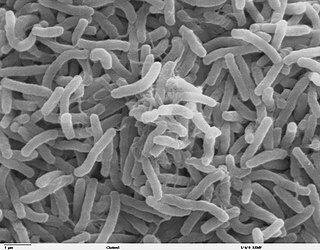 Cholera, Vibrio cholerae O1 and O139, and Other Pathogenic Vibrios. In: Barron's Medical Microbiology (4th ed.). Univ of Texas Medical Branch. ISBN 0-9631172-1-1. (via NCBI Bookshelf). ↑ Baffone W, Casaroli A, Campana R, Citterio B, Vittoria E, Pierfelici L, Donelli G (2005). "'In vivo' studies on the pathophysiological mechanism of Vibrio parahaemolyticus TDH(+)-induced secretion". 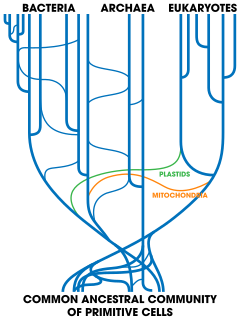 Microb Pathog. 38 (2–3): 133–7. doi:10.1016/j.micpath.2004.11.001. 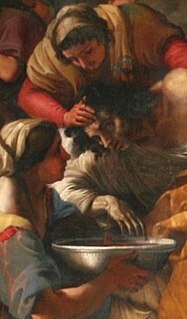 PMID 15748815. ↑ Makino, Kozo; Kenshiro Oshima; Ken Kurokawa; Katsushi Yokoyama; Takayuki Uda; Kenichi Tagomori; Yoshio Iijima; Masamoto Najima; Masayuki Nakano; Atsushi Yamashita; Yoshino Kubota; Shigenobu Kimura; Teruo Yasanaga; Takeshi Honda; Hideo Shinigawa; Masahira Hattori; Tetsuya Iida (March 1, 2003). "Genome sequence of Vibrio parahaemolyticus: a pathogenic mechanism distinct from that of V. cholerae". The Lancet. 361 (9359): 743–9. doi:10.1016/S0140-6736(03)12659-1. PMID 12620739. ↑ Okada, Natsumi; Tetsuya Iida; Kwon-Sam Park; Naohisa Goto; Teruo Yasunaga; Hirotaka Hiyoshi; Shigeaki Matsuda; Toshio Kodama; Takeshi Honda (Feb 2009). "Identification and Characterization of a Novel Type III Secretion System in trh-positive Vibrio parahaemolyticus Strain TH3997 Reveal Genetic Lineage and Diversityt of Pathogenic Machinery beyond the Species Level". 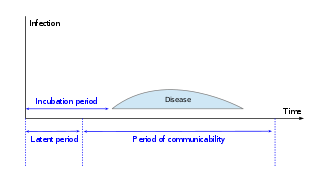 Infection and Immunity. 77 (2): 904–913. doi:10.1128/IAI.01184-08. PMC 2632016 . PMID 19075025. ↑ Noriea, Nicholas; CN Johnson; KJ Griffitt; DJ Grimes (September 2010). "Distribution of type III secretion systems in 'Vibrio parahaemolyticus from the northern Gulf of Mexico". Journal of Applied Microbiology. 109 (3): 953–962. doi:10.1111/j.1365-2672.2010.04722.x. PMID 20408916. ↑ Casey, Michael. "New Hampshire Looks for Answers Behind Oyster Outbreaks". R&D Magazine. Associated Press. Retrieved 5 December 2016. ↑ Penland RL, Boniuk M, Wilhelmus KR (2000). "Vibrio ocular infections on the U.S. Gulf Coast". Cornea. 19 (1): 26–9. doi:10.1097/00003226-200001000-00006. PMID 10632004. 1 2 Kumazawa, NH; Kato, E; Takaba, T; Yokota, T (1988). "Survival of Vibrio parahaemolyticus in two gastropod molluscs, Clithon retropictus and Nerita albicilla". Nihon juigaku zasshi. the Japanese journal of veterinary science. 50 (4): 918–24. doi:10.1292/jvms1939.50.918. PMID 3172602. ↑ "Cause Of EMS Shrimp Disease Identified". Gaalliance.org. Retrieved 2013-12-29. 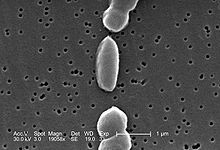 Wikimedia Commons has media related to Vibrio parahaemolyticus .